The last of the big players in my Green-Cleaning Toolkit is bicarb soda (you can see the other Toolkit posts here.) 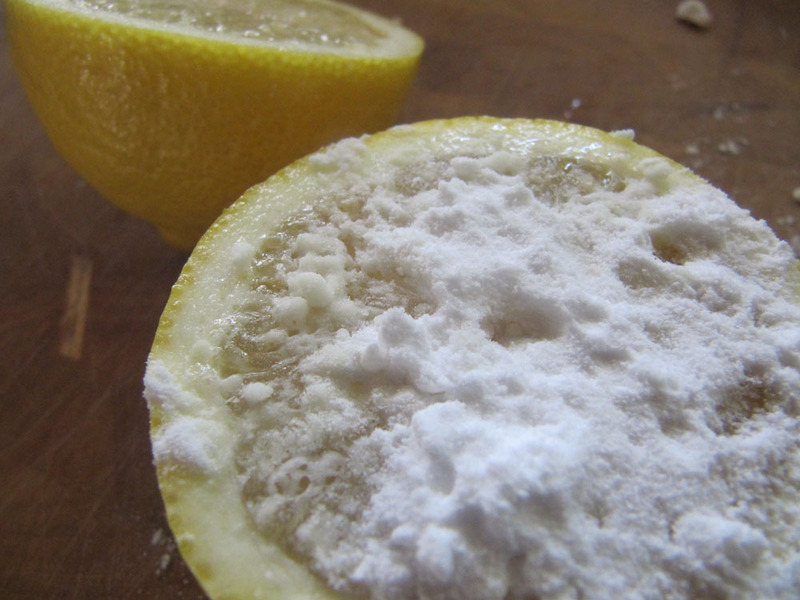 I've already posted about some of the quirkier and non-cleaning related uses for bicarb, as well as the bicarb and lemon wedge miracle but thought I should list the many ways I use it to clean, as it is super effective. Softener/Deodoriser - Add a tablespoon-ish of bicarb to your wash for cleaner, fresher clothes. It also reduces the scratchiness you can sometimes get in linen. Stain Remover - I use a commercial (natural) stain remover, but bicarb can be used as a stain remover too. Mix it with some water to form a paste and then apply to stains, leaving for at least five minutes, overnight for stubborn stains. Then wash as normal and hang to dry in the sun. Heavy-Duty Scrub - Sprinkle surface with bicarb, then spray surface liberally with straight vinegar. You can leave the solution to take action for a few minutes, then, using a damp cloth scrub away. Rinse using a clean cloth and wipe over to dry. Great for stovetops and ovens. Light Cleaner - Sprinkle some bicarb onto a damp cloth and use it to clean benchtops, tables, stovetop, chopping boards, microwave, vanity units, tiles etc. Carpet Deodoriser - Sprinkle onto carpet, leave for a few hours and then vacuum as usual. Great for car carpets in particular. Spill Clean-up - For liquid spills on the carpet, sprinkle the liquid liberally with bicarb, allow to soak up the spill, then vacuum. Car Windscreen Cleaner - Remove stubborn bug splats by sprinkling with bicarb, wiping over with a damp cloth and wiping clean with a clean, dry cloth. It's completely non-toxic, easy to find (grab the 1kg box from the supermarket - until I find where to buy it in bulk, that's the cheapest option) and really versatile. Paired with castile soap, vinegar and borax, you can clean pretty much anything in and around the house. Hi all, came here looking for carpet cleaning tips! It's a good post, thanks, I particularly like how it's followable by anyone, not just experienced, frugal folk ;) I also have a nice recommendation if I may - carpet cleaning sutton coldfield but Google has lots more if you're in another area or country!